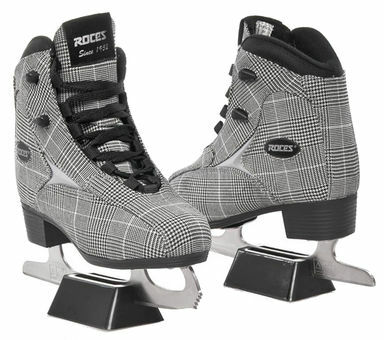 Roces Women's Brits Ice Skate Superior Italian Style & Comfort Roces designed in Italy. Some call them Italian shoes on blades, some call them Ice Glamour. No matter what you call these, just know that all Roces ice skates are designed for unmatched style, comfort and long-lasting durability. The Women's Brits model features reinforced synthetic upper, anatomic padding and footbed for superior comfort for hours of skating. Includes laced closure system and carbon steel figure blade for strength.